Api-api Steamboat & Grill is located at No. 8, Jalan Lagenda 6, Taman 1 Lagenda, 75400 Melaka. Give me 1 hour to enjoy eating here, I would definitely ask for more time. 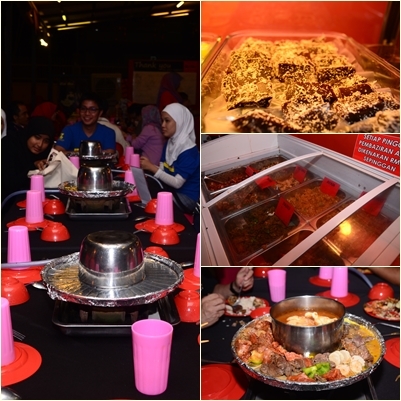 Make sure you come to Api-api Steamboat & Grill with empty stomach. 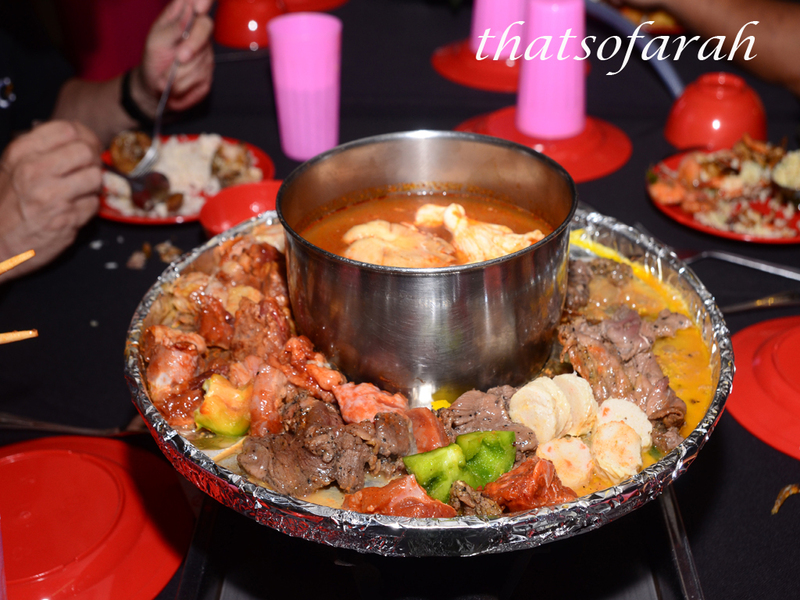 As its name provides, Api-api Steamboat & Grill gives a selection of steamboat & grill. Apart from the assorted steamboat and marinated lamb/chicken/fish/squid/prawn/crab, there are also fried rice, noodles, porridge, ayam masak bijan, nasi lemak and lauk pauk. 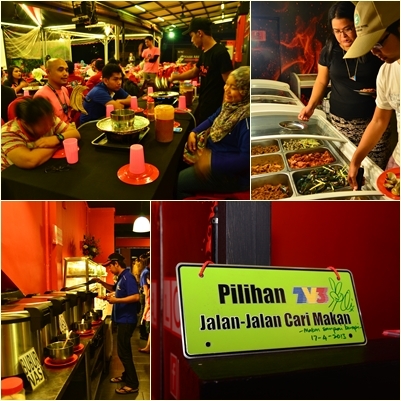 Api-api Steamboat & Grill also offers 8 types of sauce which are sos black pepper, sos madras, sos thai, sos tauhu pedas, sos taufu manis, sos bawang putih, sos plum, sos bawang putih black pepper.There are also desserts and fruits and ice cream. Kuih-muih melayu pun ada. 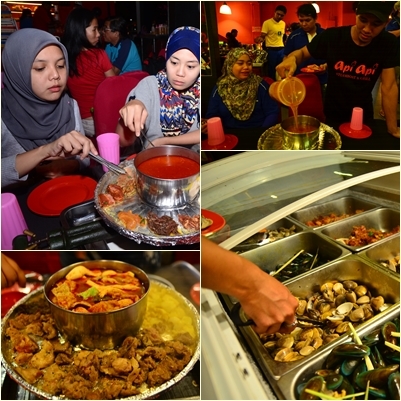 Since Api-api Steamboat & Grill’s concept is eat-all-you-can buffet, please eat according to your capacity and not let the food be wasted. Api-api Steamboat & Grill offers discount for different groups everyday. For example, on Wednesday, the price is RM15.99 per lady while on Thursday, every student with valid student card get RM19.99 each. This is definitely the place to enjoy dinner with family and friends. While eating, you will be entertained by the live band. If you are talented, you can unleash your talent here.